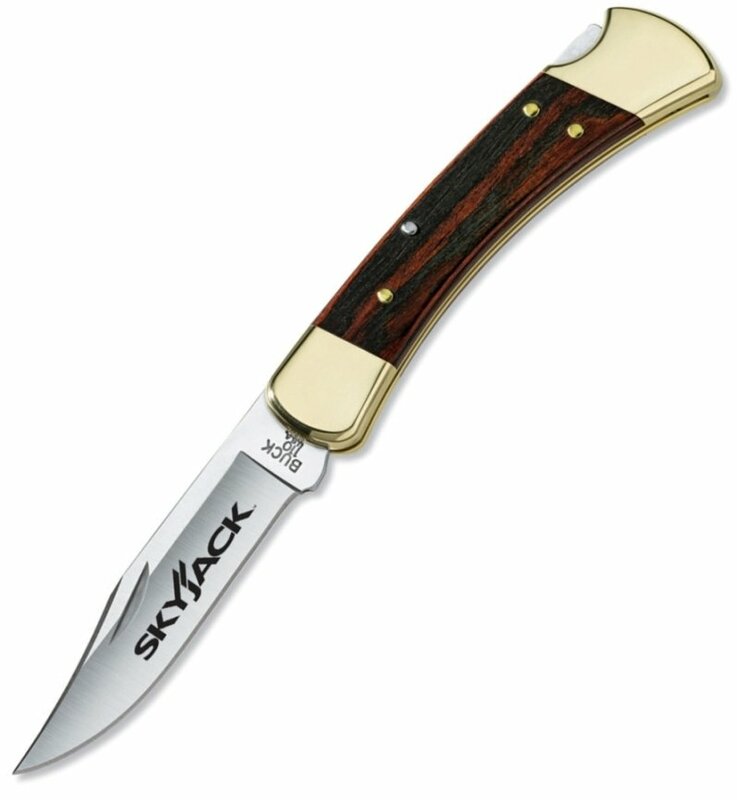 Authentic Buck Knife w/ your logo engraved on the Folding Hunter Knife. Since 1963 this knife has been the flagship of Buck Folding Knives. Rockwell hardness 58. Buck branded leather sheath included. Handle length 4 7/8", Blade length 3 3/4" - Thickness .120"
Logo engraved knife blade is American Stainless Steel. Engraved Knife is Made in the USA. Buy USA First. Delivery from date of an actual order is 3-4 weeks. Knives inserted in sheath, packed in a Buck Box. Price includes custom engraving on the blade 2" w x 3/8" h.
Factory laser setup is $65.00. One color logo art only.